The Bureau of Land Management canceled 25 leases in the Thompson Divide and moved to protect the area from future drilling. U.S. Secretary of the Interior Sally Jewell joined Gov. John Hickenlooper at the state capitol Thursday to announce a decision that protects the Thompson Divide, but leaves other areas open to drilling. “As our population grows, we’re not going to get a second chance to set aside these most important places, and I think Thompson Divide rode right to the top as a place that we want to make sure that it is protected,” Hickenlooper said. The BLM decision addresses 65 oil and gas leases in the White River National Forest. 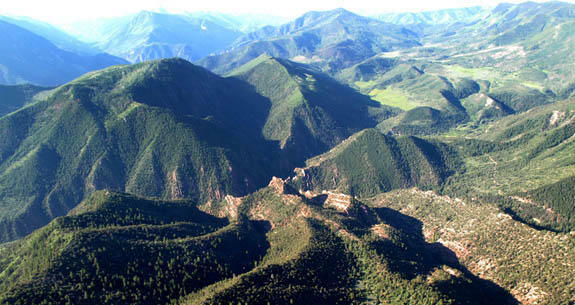 Wilderness Workshop, Conservation Colorado and other environmental groups applauded the preservation of Thompson Divide, but said the resolution does not do enough to protect other areas, including Battlement Mesa and Mamm Peak. Secretary Jewell said the BLM has found a compromise that reflects Colorado’s values. Representatives from the oil and gas industry issued statements calling the decision “punitive.” David Ludlam of the West Slope Colorado Oil and Gas Association said his organization will work with the incoming Trump administration to determine the next steps.